While playing Personal 4 Golden for the first time, I realized that I have just as much fun engaging in the mundane socializing activities as I do when exploring dungeons and fighting monsters. This made me think of the old adage about how video games have the potential to be about anything, although no genre emphasizes this fact quite like the simulator. Lately, the Internet has been ablaze with oddities such as Goat Simulator, Bear Simulator, Rock Simulator and more; although these games are creative, they eschew the activities related to the daily grind that many can relate to. For this issue of the Kickstarter Weekly, I’ve decided to focus not only on simulators but also games that are able to create engaging experiences surrounding activities that you might take for granted. Get ready to bond with your comrades in Fritz, create a sustainable restaurant in Culina: Hands in the Kitchen, and explore the final frontier in Space Simulator. Valiant Hearts: The Great War was notable at Ubisoft’s E3 press conference for showcasing a colorful, character-driven story set during a historic war that’s hardly mentioned in video games. Since I’ve started writing this column, Fritz is the only game I’ve seen on Kickstarter that also takes place during this war, possibly taking inspiration from Valiant Hearts. However, while Valiant Hearts managed to maintain a sense of adventure while following characters struggling to survive, Truceful Entertainment’s Fritz takes an uncompromising approach to telling a story that now only shows how violent World War I was but also how utterly boring it could sometimes be. Fritz is the eponymous protagonist who fights for the Germans on the Western Front. Unlike most video game soldiers, Fritz is not the one man hero that is a natural born leader with excellent combat skills; rather, Fritz is like any soldier who struggles with the boring moments of war. In between the violence, Fritz has to perform required tasks such as guard duty, writing letters, reading and hanging out with his comrades. Of course, when violence does threaten the his squadron, Fritz is ready to grab his standard-issue weapon and engage in brutal, senseless violence only to (hopefully) repeat the cycle the next day. Truceful Entertainment describes Fritz as an RPG; however, it also has pseudo simulator elements similar to that of the Persona series. War is about conflict, so it’s a given that soldiers are going to fight each other; yet, Fritz is more interested in exploring the downtime that all soldiers experience. Players can choose who Fritz hangs out with, which ultimately affects not only Fritz’s character development but also the NPCs’. As for the combat, Fritz looks at the aspects of war that are often more unpleasant to think about, and turn them into stats. This means that unlike being poisoned in an RPG, you’re more likely to experience loneliness, trauma, and illness. These realistic stats affects how your soldiers do against the overwhelming French forces; not so much in that they need to worry if they’re under the right conditions to perform a powerful ability, but whether they’re strong enough to overpower an soldier long enough to drive a knife through their throat. Fritz is not looking to glorify war, and it features many poignant scenes that shows how utterly absurd it can be. The team mentions that the game will be historically factual, yet there will be some bizarre moments to emphasize their message. Judging from the trailer, I think they’ve on the right path, as there’s one scene that stood out in which Fritz and his companion Hans stare at a dead body and wonder if the crows will feast on it. 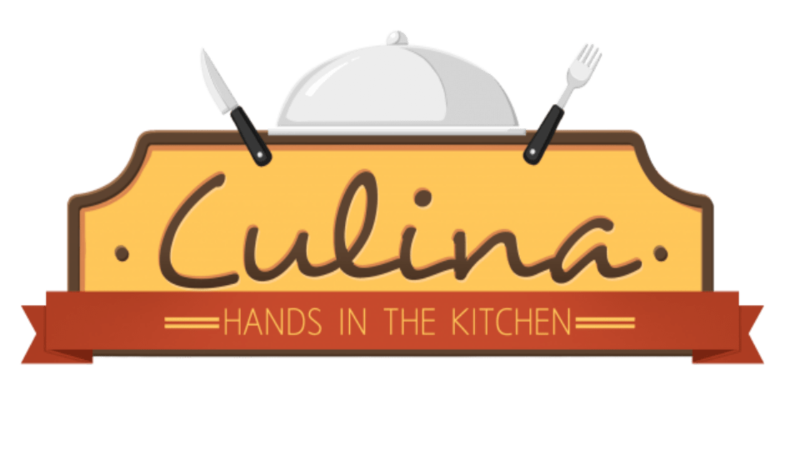 The first image I thought of before I clicked Culina: Hands in the Kitchen was Cooking Mama. When I clicked on the game’s Kickstarter page, however, I was surprised to see that one of the major influences listed for the game is Persona 4. That said, the team behind Culina makes a convincing argument through their Kickstarter page that a restaurant is the perfect setting for a game about balancing your career goals and social life–the comparison to Personal 4 is quite fitting. Culina follows a graduate student who, with the help of his parents, is finally ready to begin his lifelong dream: open his own restaurant. The problem with achieving dreams is that they require a mixture of maintenance and growth in order to create something sustainable; in this case, if the graduate student is unable to create a profitable restaurant, then he must move back in with his parents. To make things more stressful, the new owner must find the right people to work with, not only for the sake of creating a successful business but because they might be the only people he’ll spend time with. After all, running a restaurant is a serious time commitment. In the Kickstarter trailer, co-creator Christopher Doran describes Culina as a cross between a simulator and a visual novel. On the business side of things, players can customize their restaurant to suit their interests, and then they need to look at data in order to make the best management decisions possible. You could offer the best tasting, healthy food in town, but if it can’t be cooked quick enough or the ingredients cost too much, then you might need to rethink your business plan. Otherwise, as with most visual novels, players can build up relationships in order to help ease the daily grind; maybe you should consider putting off your career in search of romance? Culina is being developed by a team who, although they’ve never worked together, has experience that ranges from indie to AAA development. They’ve turned to Kickstarter for mainly two things: the first is that they want spruce up the art , and then they want to transfer their game’s engine to Unity. This way, everybody can experience succeeding or failing at achieving their lifelong virtual dream job. Admittedly, flying to space doesn’t sound as mundane to most as, say, running a restaurant; however, much like how soldiers suffer long bouts of boredom, astronauts also must deal with several challenges that somehow fail to diminish the awe that viewers experience from afar. If you’re curiosity about spacecrafts goes beyond consuming media regarding it, then you may want to check out the realistic Space Simulator by Brixton Dynamics Ltd.
Part of the realism that Space Simulator promises stems from its use of historical flights. While there’s not a narrative per se, Space Simulator has missions that are crafted based on actual launches such as every Apollo mission. This is a smart idea, as the team could research the types of problems the teams must have experienced and implement them into their realistic game engine. Apart from the historical setting, Space Simulator is driven to provide you the most realistic virtual spaceflight as possible. Rockets come equipped with the same computers used in real life, and players will even need to go through the same procedures necessary to launch into space. Even the game’s depiction of the solar system takes into consideration actual distance in between planets. And while the game looks graphically rough at times, it has its shining moments such as when the spacecraft flies closer to each planet, showing off their astral beauty in stunning detail. 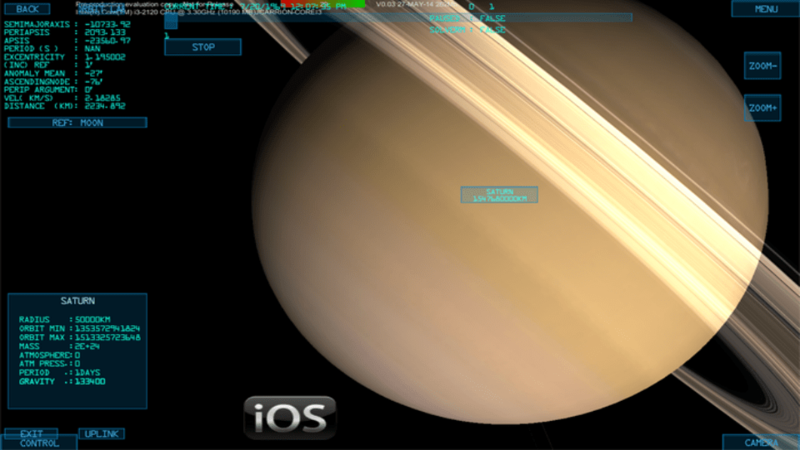 Space Simulator is currently compatible with iOS devices–the idea being that the touchscreen controls might help emulate the interaction between an astronaut and the ship’s computer. However, while the main engine and other “hard work” is complete, Brixton Dynamics Ltd still needs to secure funds in order to work on this full-time and complete the project timely. There’s also a chance that the studio will be able to port to current gen consoles; however, as the team wisely states in their video, they are focusing on small step for man at a time.